I got this in an email today and thought about sharing it here. Be blessed today and think positively no matter how bleak the weather, no matter what storms you are experiencing in your life. Always have a fresh perspective and move Forward towards the GOAL and never look back! God is always with you every step of the way. He will wipe away your tears, He will strengthen you when you are weak, He is your shield and He is your covering. You are NOT alone. You are covered under the wings of the Almighty. He Loves you and He will always be there for You. Remember that you are LOVED. 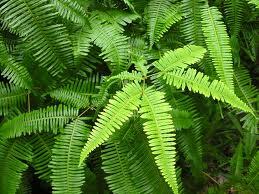 ‘When I planted the fern and the bamboo seeds, I took very good care of them. 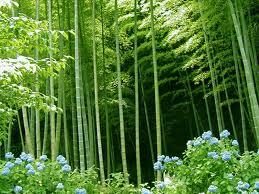 ‘In year three there was still nothing from the bamboo seed. He asked me. ‘Did you know, my child, that all this time you have been struggling, you have actually been growing roots’. ‘Your time will come’, God said to me. ← The New Year is coming – SCREAM! Thanks for sharing. Giving up can seem like a good option when we don’t know the end of a matter. We must Believe what the Word says and it says – WE WIN. Wow! and the images are perfect. Now THIS was a very a beautiful post. Excellent stuff, Nyahsa. Keep them coming. I really wonder if this is the season for motivation.